1978 - Michael visits the famous toy store F.A.O Schwartz in Manhattan. 1987 - Michael Jackson's one-day trip in Chinese mainland. 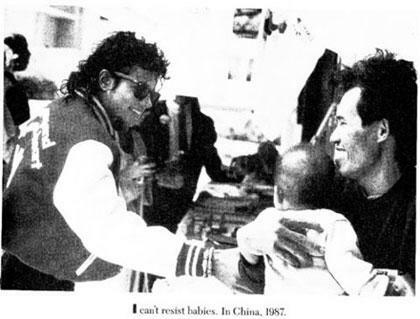 When Michael Jackson's China fans are groaning that they will never see the King of Pop on their homeland, it is rarely known to the public the pop icon actually dropped by a tourist attraction once in Guangdong during his vacation in Hong Kong in 1987. Liu Guangzhi, Jackson's guide then, couldn't hold back his excitement speaking of the megastar's one-day visit of a guided trip in his hometown. "I didn't know whom I was going to pick up until they gave me the tourists' name list. Michael Jackson's name was right there, the first on the list," Liu, 23 then, recalled. "For most of his fans here, it's a pity he never visited Chinese mainland, but hardly have they known that he was here once 22 years ago," Liu added. 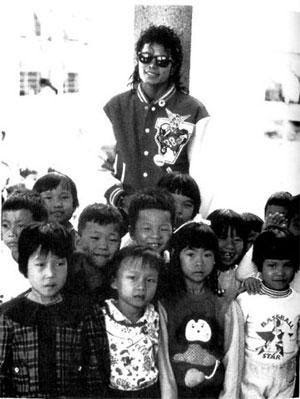 Michael Jackson is a man with few words but very friendly, Liu said of his first impression of the pop icon. "We are not able to have an in-depth talk on any subject, but he mailed me our photo with his autograph on it through his agent later," Liu continued. The children and the seniors, who took photos with Michael Jackson during his tour of their village, also received the pictures from him. Many of the villagers still have the photos in house. Michael Jackson had two of these photos published on his autobiography, commenting under one snapshot "I can't resist babies. In China, 1987". Liu is grateful to Michael Jackson for the pictures, he said, "it's a cherished memory for us all, and Michael helped us to keep it". "Though he's not with us any more, I still remember his kindness. He's the unparalleled King of Pop, I'll keep the memory of him in my heart forever." 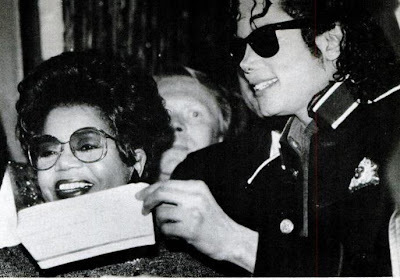 1988 - Michael presents a check for $125,000 to Esther G. Edwards, president of Motown Museum and Motown founder, Mr. Berry Gordy during ceremonies at the Motown Museum Historical Foundation in Detroit, Michigan, finance sustaining the maintenance of the famed museum, the highest amount of money donated up until that time to the museum. Superstar Michael Jackson, in a rare public appearance, visited Detroit's Motown Museum and donated $125,000 to the famed museum. Extensive security measures were taken for Michael's visit to the Museum, West Grand Blvd. was completely blocked off and police officers and mounted police awaited the arrival of Michael and Motown founder Berry Gordy, Detroit Mayor Coleman Young welcomed them to city. "It’s great to be here. I'm very happy and proud to be back to the soil from which I came," Michael said during the ceremonies outside of the museum. "Berry Gordy is the man that made it all possible for me. I want to say thank you, Berry and I love you." At least 2,500 fans endured a constant, cold rain to get a glimpse of Michael when he arrived at the museum. They cheered wildly when Michael presented a check for $125,000 to Gordy and Motown Museum President Esther G. Edwards. 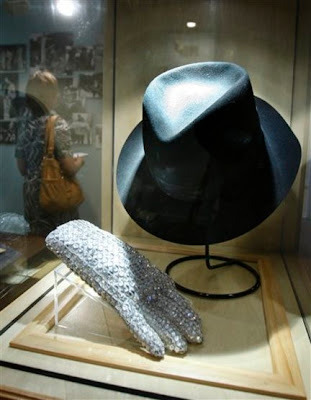 Michael also donated three items from his personal collection to the museum: a shiny rhinestone glove, a trademark black fedora and stage costume dating from 1972 he wore with the Jackson 5 when he was 13. During his visit to the museum, Michael joined Gordy on a tour of the modest house where Gordy founded Motown Records in 1959. Gordy told the crowd: "Michael Jackson knows that success in life is not merely confined to fame and fortune and material gains, but it's also found in a continual awareness of our roots, his roots. These are Michael Jackson's roots, right here. You were the first people that bought Michael Jackson's records," he told the fans. "And he loves you-and he loves you for it." 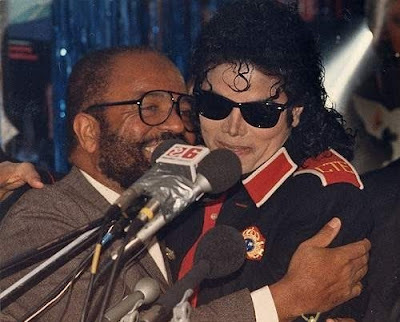 Gordy called the pop superstar one of the museum's greatest supporters and praised Michael as "a man who is not only the greatest entertainer to come out of Motown, but the greatest entertainer to come out of any town!" 1990 - Michael Jackson and Sir Elton John are awarded the first "Ryan White Award" for outstanding contribution to AIDS programs (award that will be handed over a year later). 1993 - Michael performs at Chile National Stadium in Santiago, Chile attending 65,000. 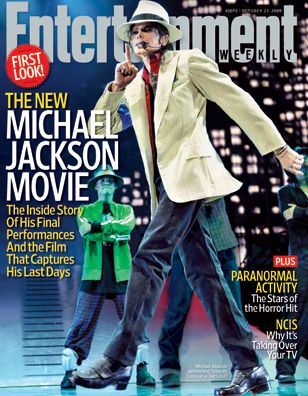 2009 - Entertainment Weekly magazine[US] featured Michael on the cover with the headline: The New Michael Jackson Movie - The Inside Story Of His Final Performances And the Film That Captures His Last Days. This entry was posted on 23 October 2010 at Saturday, October 23, 2010 and is filed under 1978, 1987, 1988, 1990, 1993, 2009 . You can follow any responses to this entry through the comments feed .